A slick, terse album of funk licks and chillwave nostalgia, Toro Y Moi’s latest is a laid-back, compact experience that delights in its own retro-fetishist kleptomania. Repetition is supposedly one of the key tenets of what makes music – a key aspect that, if dealt with sensitively and effectively, can lead to a delicious, rolling groove – but if fudged will spew out droll, tired tracks that outstay their welcome. The same can also be said of the repetition that takes place outside of an album’s individual tracks and on a more meta level – how much does this record repeat its forebears – both within a discography and outside of it? How many times can I listen to these same songs before moving on to pastures new? 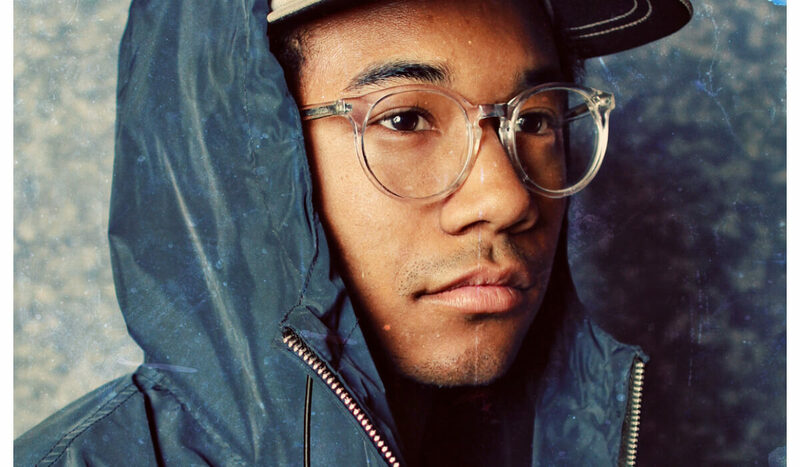 It’s lucky then, that at just 30 short minutes, Chaz Bundick’s latest as Toro Y Moi is repetition perfected – a compact and buoyant album whose 10 tracks seamlessly slink into one-another like psychedelic, liquid Lego. More than just a great, compact record, Outer Peace draws on a vast pool of influences – everything from the garish funk of Heatwave to the tightened rhythms of Can and glittering, gooey disco of Todd Terje – but it never once takes these influences for granted, expanding on them wherever possible and moulding them together like sonic putty. It’s the perfect listen for a generation obsessed with its own misremembered past, a hazy and doe-eyed examination of millennial culture intersected with the hip-hop influences that have come to symbolise the collective cultural zeitgeist of the times it is born from. Speaking of hip-hop influences – its startling to see how much Bundick relies on scattered, atmospheric beats across Outer Peace, a decision so far removed from his work on Underneath the Pine that its easy to forget those tracks existed – Toro has gone digital, and it seems that he’s here to stay. The album is interlaced with staggered, choppy flows that, in turn, are sliced through by features from Wet, Instupendo and ABRA, each bringing an array of wavering, modulated vocal performances to their tracks. Bundick’s voice, too, is processed and filtered throughout the album, giving an electric crackle to his presence that cuts through the oftentimes dense and textural instrumentals that adorn the album at its peak. The vocals across the record as a whole are a particular highlight, too, a with tiny quotables delivered in a weary, lilting manner that echoes the age-conscious ramblings of James Murphy (who is even name-dropped on ‘Laws of the Universe’) – scattered ruminations born out of the kind of digital bedroom-existence that defines the technocratic life of 2019-dwellers everywhere. ‘Freelance’ is the shining centre of this millennial lethargy, with a series of lyrical snippets that cut to the core of the hyper-specific referential culture born from the generation; ‘Cazadero got me wearing all camo /Decked in Patagonia, head to toe… No more shoes and socks, I only rock sandals / I can’t tell if I’m hip or getting old…’. Between these celebrations of futuristic youthfulness come equal admissions of fear and doubt in the age of technocracy – ‘Silver or black mirror what’s the difference?’ he asks, admitting that ‘this world makes a lot of noise for me /Makes it hard for me to hear what I’m thinking’ on ‘Ordinary Pleasure’. Simultaneously pulled towards and pushed away from digital existence, Outer Peace captures the twin-spirited struggles of youth in face of technology – reject it all and go for ‘a long shower’ or embrace the new and risk being swallowed by its glow. Perhaps the most essential element of Outer Peace is not contained within descriptions of sticky basslines or warbling synthesisers, but rather encapsulated in some ephemeral quality that exists wholly outside the music itself – more of an ‘auditory aesthetic’ than it is a straightforward album – such is the extent of Bundick’s cut-and-paste collage of A/V culture. The melting-pot approach dishes out track after track of hazy, comfortable retromania that makes it feel like you’re living in a world where Vampire Weekend are releasing a new album, you’ve just discovered Simpsonwave and weed is still a novelty. Life is good.